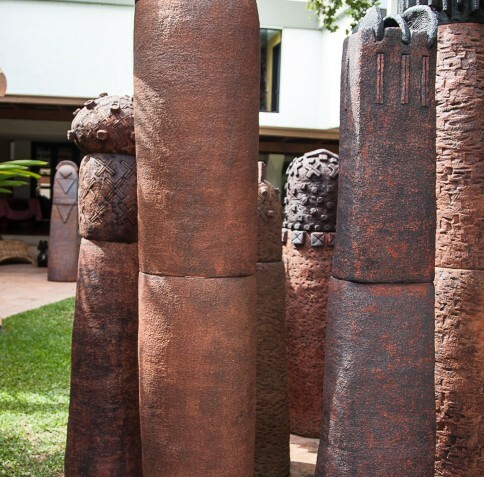 Noemí Márquez exhibited for the first time in Encounters in May 2015 and her work returns in 2018 with new pieces, recently shown in a major exhibition in Caracas. “Earth… it is magic word that holds much significance… belonging, motherhood, country, fortitude, union, passion, sand, dust. 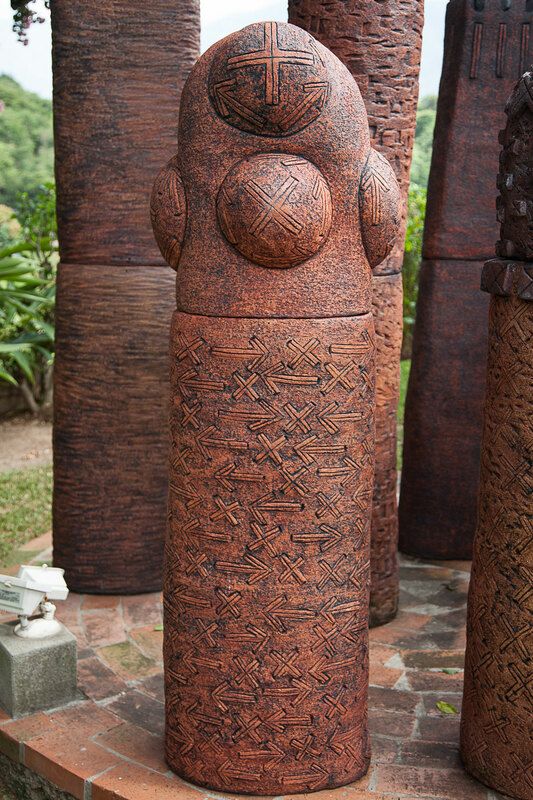 “My sculpture is closely bound to Earth. 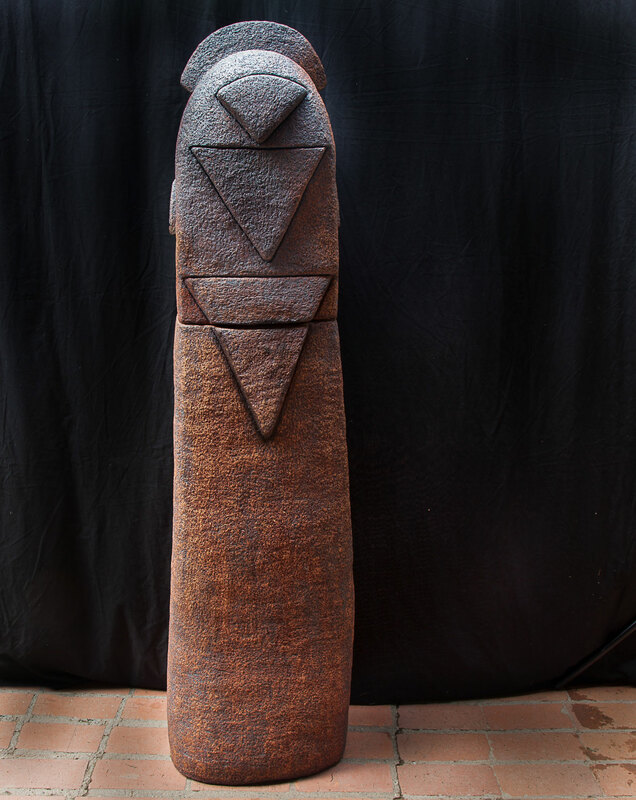 In my hands clay metamorphoses and becomes a menhir, a Standing Stone. My menhirs reach higher, like birds ascending to the heavens, or faith looking for man, or pebbles running in rivers or ancient memories. Noemí was born in the city of Valencia, Venezuela on the 31st December 1933. She began her artistic training in Milan, Italy and continued her studies in the Cristobal Rojas School of Plastic Arts in Caracas where she was awarded a Degree in Fine Arts specialising in Ceramics. 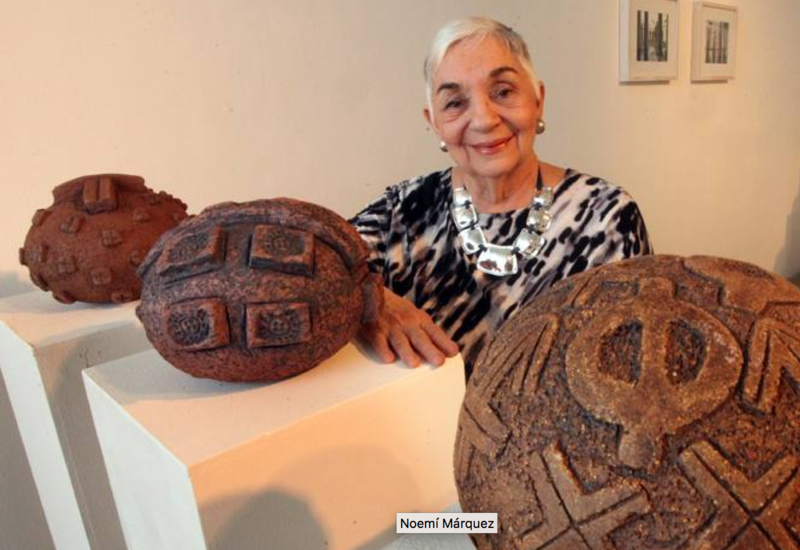 Amongst her teachers were Sergio González and Reina Herrera, both noted ceramicists. Later she followed a course in Advanced Ceramics at the Skidmore College, New York and at the Penland School of Crafts, North Caroline, USA. After returning to Venezuela she participated in a series of advanced seminars led by Professors Warren Mackenzie, Claire Illian, Odile Culas, David Leach, Linda Christianson, Gerda Gruber, Michael Mason and Enrique Mestre. 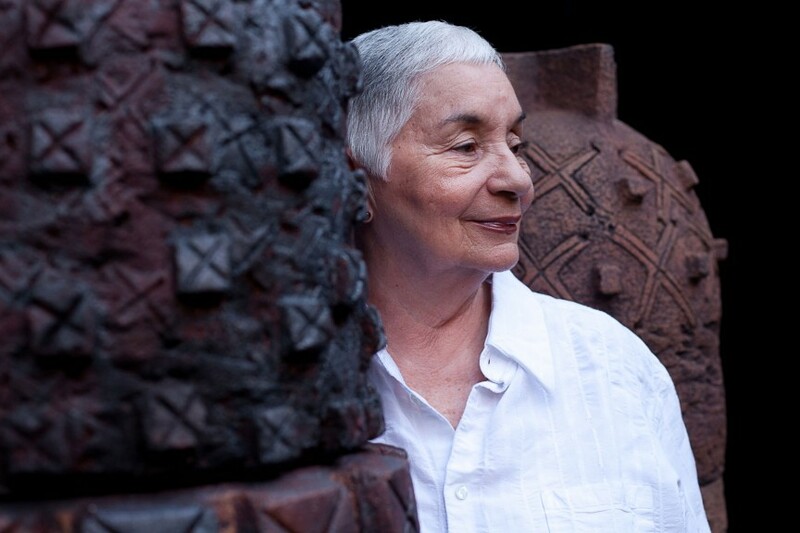 Noemí is a founder member of the Venezuelan Association of the Arts of the Fire of which she was President between 1982 and 1984. 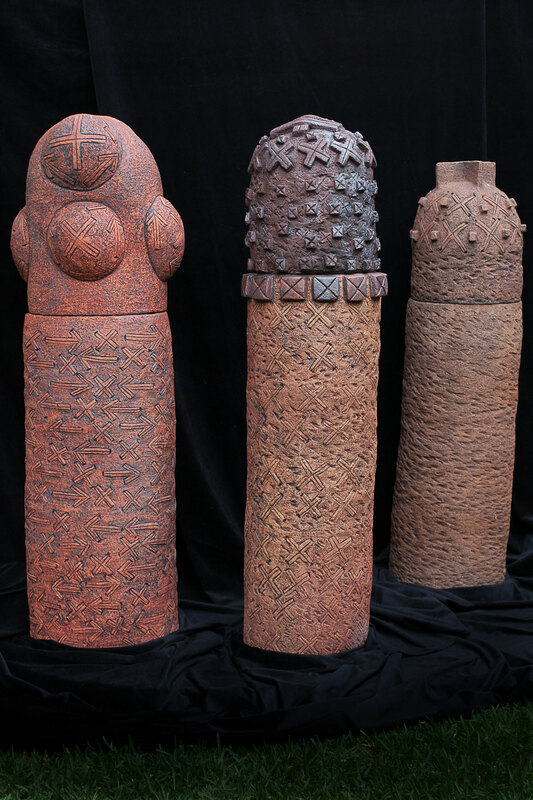 From 1974, whilst she was still an undergraduate, until present day, Noemí participated in numerous individual and collective exhibitions, including in Belgium, China, Colombia, England, México, Puerto Rico, Sweden, USA, Yugoslavia and Venezuela. Several prestigious awards testify that her work has been internationally recognised. 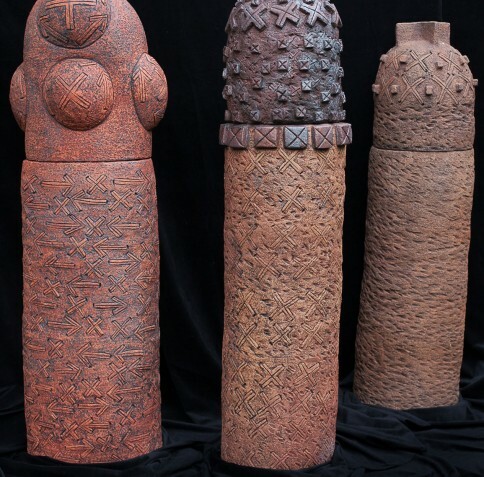 Noemí is a member of the International Academy of Ceramics (Geneva) and her work forms part of National Collections in Belgium, China, Colombia, Egypt, Italy, Japan, Puerto Rico, Sweden, Taiwan, the USA and Venezuela. 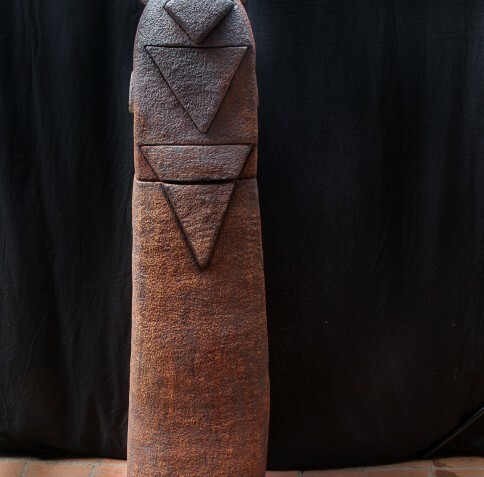 Noemí Márquez presents sculptures that are somewhat like sacred stones, or the megalithic monuments of Stonehenge, or totems, though she does not grant any religious symbolism to them. She writes: “What I wish is that my pieces inject a spiritual force into people when they are in front of them, that they move them to experience the most beautiful and pure feelings. That’s why I raise them towards to heaven. People have told me they hugged one of my works and wept, because the sensitivity of each person is very different. Some get excited and express it, just as there are others who might like the work without external expression”. 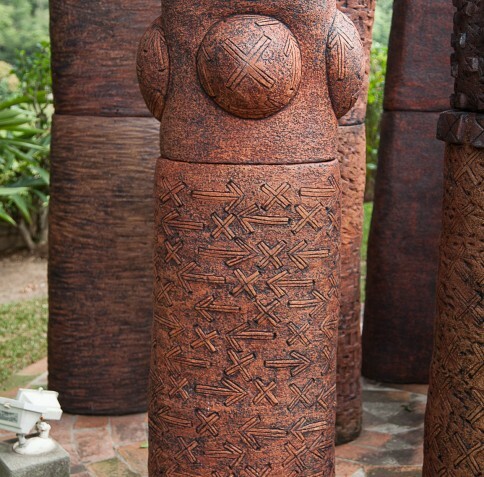 Each work is in terracotta. “I do not use glazes. 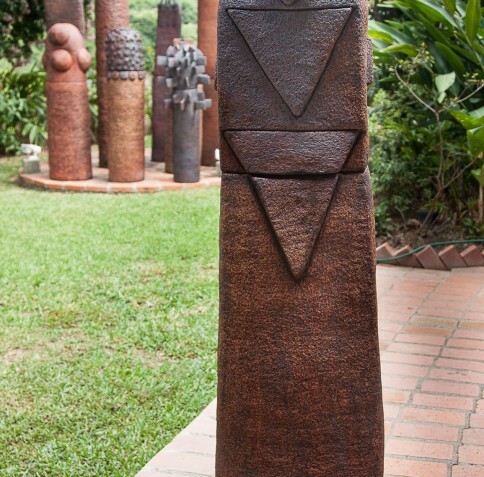 Only oxides (iron and copper) to highlight the textures of each ‘character’. The flames do the rest,” says the artist who has exhibited her work in the United States, England, Puerto Rico, Mexico, Yugoslavia, Taiwan, Colombia, Sweden, Belgium and China. Encounters thanks Florangel Lambor for her insightful and sensitive translation from Spanish for this section. 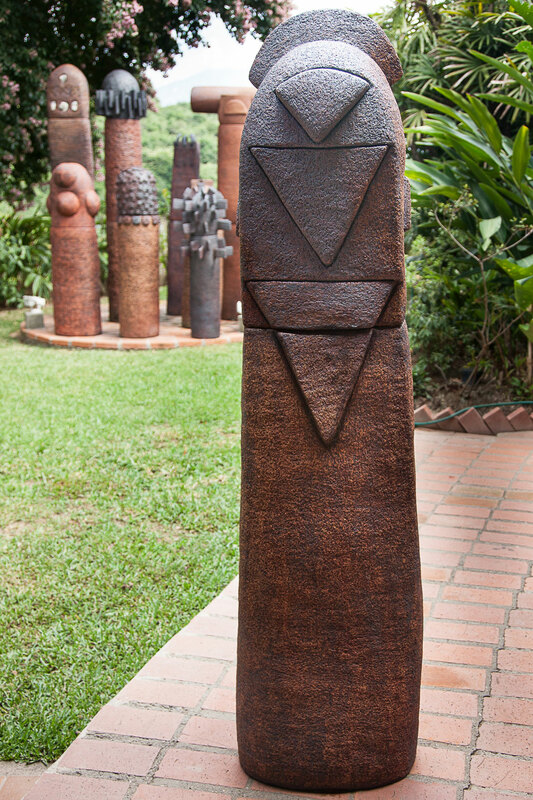 1998 National Prize Artes del Fuego, Gold Medal and Diploma, CONAC, Caracas. 1996 Homage to the Masters of Art:INPREC, Caracas. 1983 Order “ Merito al Trabajo” en su Segunda Clase from the National Government for her contribution to the arts, Caracas.